These products have achieved v1.3.1 certification. 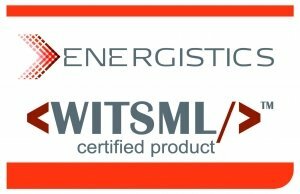 Energistics has developed a baseline, self-certification process so that vendors may demonstrate that their products comply with WITSML standards. These products are noted as “Self-Certified” in the table below. When appropriate, vendors may elect to take part in certification testing which was implemented in 2010. In this instance, once products have passed testing, they are designated “Certified”. For more information on product certification, see Product Certification Program. To learn more about v1.3.1 WITSML compliance testing, see v1.3.1 WITSML Certification Testing. Upon achieving product certification, vendors may display the WITSML Certified Product Logo. The following table lists products that are certified or in process for certification with links to each product’s certification form submitted by the product vendor.